H&R Block's "Ask for Tax Advice"
When I started with the company, the professional services organization had just got a contract with H&R Block to produce a new web application where their tax advisors could communicate with their clients. The project needed to be ready for the tax season ... in about 2 months. This mockup served as the basis for the final product: The Ask for Tax Advice portal. Overview / Dashboard — The initial screen that introduces the repository as well as list who recently logged in and what has changed. 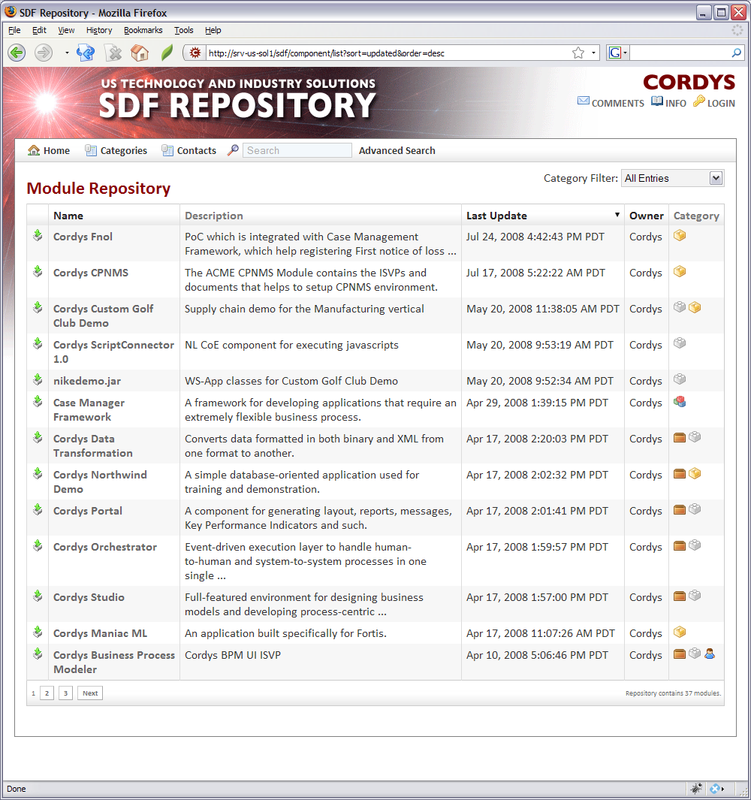 Repository Listing — One screen listing of some of the components in the repository. A quick search could be done by entering descriptive data in the "Search" field or a more advanced search could be performed. View of a Component — Clicking on a component, displays this view of a typical component. Allowing the user to view the attached documentation and even get other dependent components. 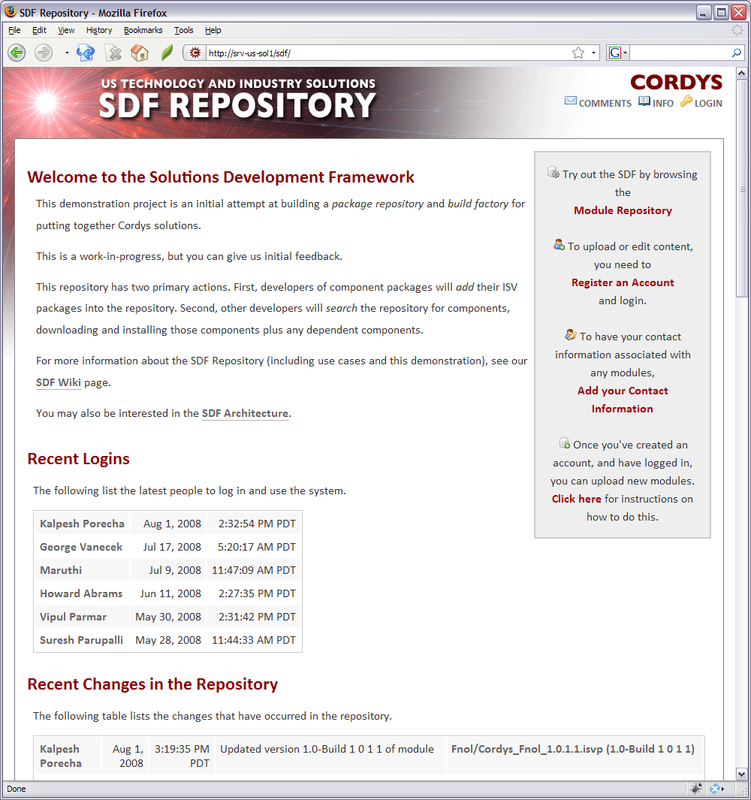 The professional services division within Cordys produces a large amount of software, and I was asked to help aggregate this software and extracting the reusable components in hopes of recovering some of our investment. We determined that we needed a repository where components could stored and later retrieved by other developers. The repository needed to take into consideration that components may be updated, and therefore we needed to allow multiple versions. We also needed to be able to store information and documentation on installing and working with the components. I quickly prototyped the initial repository using the Grails Framework, and had a functionally complete application within the month. This "proof of concept" was so good, I was asked to put a "version 1.0" sticker on it. The company is still using this product. Along with the code, I also wrote a number of Wiki pages explaining details of the project. You can read some of the extracted information. I worked on and built other projects, including a Portal Dashboard for internal executives.